Patriot Insurance Agencies is independently owned and operated by experienced professionals who have the knowledge and expertise to handle all of your motorcycle insurance needs. While we focus primarily on motorcycle insurance in Charlotte, Concord, Kannapolis, Monroe and Salisbury, NC areas we offer affordable and reliable rates throughout all of North Carolina. Patriot Agencies is committed to ensuring that its staff is the most professional, friendly, trustworthy, to provide you with advice on your personal and business insurance. 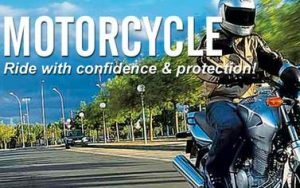 Patriot Agencies pledges to make sure you understand your coverage options and provide you with a motorcycle protection proposal that has been personalized to your unique needs. Our experts are committed to getting you the best value for your dollar along with an affordable motorcycle insurance package tailored to your needs. We’re an independent agent and we can save you money! Why restrict yourself to the price and coverage offered by one insurance company? Get the best motorcycle insurance options available by using an independent insurance agent – an agent that works for you. We invite you to call us at 704-938-7888, or contact us to review coverage options for insuring your motorcycle. We provide free, no hassle and no obligation motorcycle insurance quotes to help you make an informed insurance decision. We can often be your one-stop shop for home and auto as well. Patriot Insurance Agencies growth is based on our dedication to comprehensive research, resourceful problem solving, quality products and superior client service. Our ability to represent a broad selection of insurance carriers assures that we can provide the coverage you need at competitive prices. We are proud to offer motorcycle insurance solutions from several of the nation’s highest rated insurance companies, including GMAC, MetLife, Progressive, Travelers, Safeco and National General Insurance.